As I have just reviewed both 'Kikstart 2'(on the C64)and 'The Power'(on the Amiga) recently, I thought that the topic of level/track designers in games would be interesting? How many people have fond memories of doing that for certain games? On my C64 and with 'Kickstart 2', I loved designing tracks. Cool fun. Making them high speed was good. I think that 'Lotus Esprit Turbo Challenge 3' had a circuit designer. That must have been interesting. Likewise, when moving over to the PC, and getting the modded levels for 'Doom 2'. I think that 'Duke Nukem' had a level designer as well. I remember getting multiplayers' maps for both type of games. 'Quake 2' had some good mods. There was one for 'Capture the Flag' and it gave the players a grappling hook gun. 1st 1 i came across was Racing Destruction Set on C64 (think that was it's full name), been good few over the years since then. Have to say, for ALL thier faults this generation, the user content side something SONY been very keen to promote with LBP,Gravity Crash, Infamous 2 etc.More power to it. I never have the time or skills to devote to these things, but in awe of others work. Amiga The Power? have sampled Snap music? Also on subject of Modding/Mods.WFT was name of that superb Aliens Mod for PC Unreal T.Alien Swarm? Loved that in my PC days. Yeah, 'The Power' on the Amiga had samples of the band 'Snap's' music. It also had a level design for more puzzle goodness. Yep, I have seen S.E.U.C.K. in the old magazines. It got made for the C64, ST and Amiga, I believe. Not sure how many games got made for it? I know a few examples got released on PD. Maybe they ended up looking too similar to one another? I heard about the 3D Construction Kit as well. That used the 'Freescape engine' that was used for games like 'Driller' and 'Total Eclipse'. Did many PD games get released which used that? I to have very fond memories of designing my own tracks in Racing Destruction Set for the C=64. Wow! It must have been 1985 or 1986. I'd spend hours on end customizing the track. And then, spend the rest of the day playing with my friend. I loved that game. 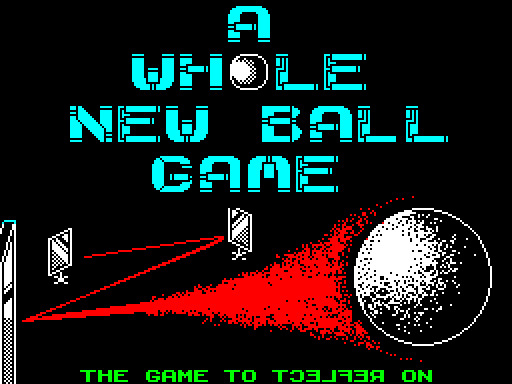 The first ones that I remember, apart from the brilliant Kickstart 2 that you already mentioned, are Marble Madness and A Whole New Ball Game on the Spectrum. I think all the home computer versions of Marble Madness came with the construction kit and it was great fun making your own courses for the marble to roll down. The object is to capture yellow energy pills by rolling a ball over them. The ball heads off around the screen under its own power and you can only control the ball's path by placing and removing gates to deflect its course by 90 degrees. Each screen must be cleared of energy pills before the time limit expires. Watch out for other objects called effectors which may speed up the ball, change its path or generally muck it about. The notion is very easy to grasp, but playing Ball Game is a different matter. You should be able to clear the first few screen, on easy level, after just a few goes... but it gets harder! The screen designer is simple to use, and self-explanatory. If you want to try out your created level before saving it, just use the game as a screen A and play the game. It's all incredibly wonderful! Or should that be wonderfully incredible... ? Good shout actually, It would make a perfect mobile game! I used to play around with the War Gamers Construction on the C64. Not quite the same but I enjoy the sandbox mode of Railroad Tycoon II. I have made a few levels on Railroad Tycoon II, one of the few PC games I actually play! Wish they would bring back the simple games. Games that that were quick to learn and fun to play. Now I have Impulse X on the way for the Jaguar I can play with the level editor on that! 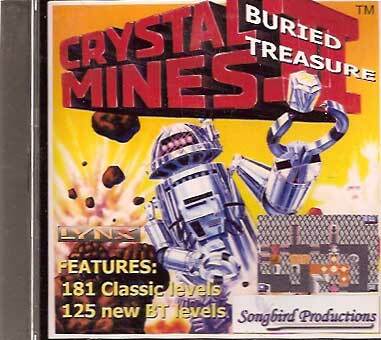 I don't actually own it but Crytsal Mines 2: Buried Treasure on the Lynx has a level creator! The Incredible Machine games are great for this sort of thing. The early few games just have a sandbox mode, where you can place whatever sorts of parts you want on the board to see how they work, but in TIM2, you can actually program in goals and have a fully functional puzzle. There's also Jazz Jackrabbit 2, which comes with its own editor. If it weren't for that, the game would probably died out in about a month. Good game, but it's just so damned EASY.